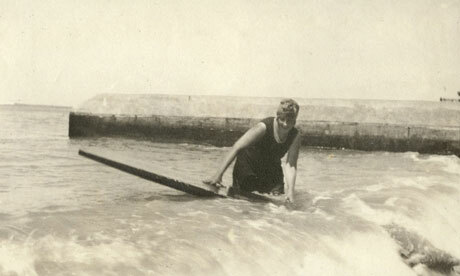 Agatha Christie’s diaries, letters, and photos from her days spent surfing are to be released in a book. We’re hoping that a Masterpiece Theater mini-series based on the book will promptly follow. Frank Sinatra writes a letter to a former New York Times crossword editor. How Joseph Heller’s Catch-22 changed one man’s life. The last words of writers from Mark Twain to Jane Austen. Is The Onion moving to Chicago from NYC? This Saturday is Museum Day. The Smithsonian lists five museums that are participating.